We’ll have to wait until Monday to crown a champion of the AT&T Pebble Beach Pro-Am, as Sunday’s final round was delayed due to inclement weather and the finish was pushed until Monday. 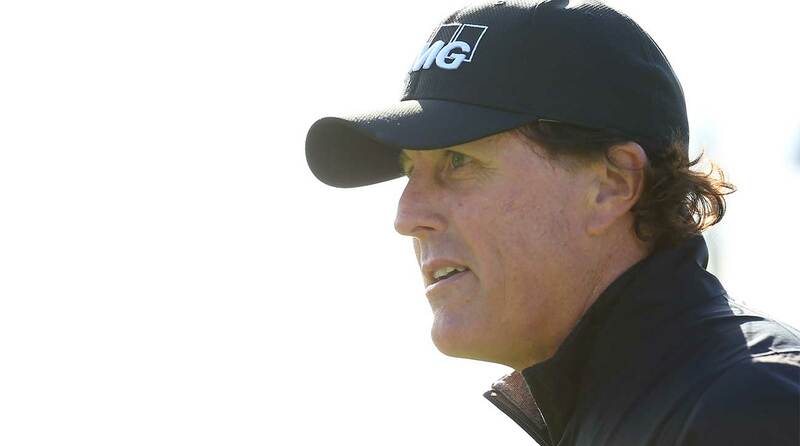 Phil Mickelson leads Paul Casey and Scott Stallings by three, as Mickelson chases his first victory since the 2018 WGC-Mexico Championship. But according to Mickelson, one rules change that’s had a big impact on this week, for the better, is Rule 13.1c(2). It covers what’s allowed, and not allowed, on the greens. Mickelson brought this up after his opening round on Thursday and also reiterated his point on Sunday. Mickelson saying the rule will have an impact on this tournament specifically is likely due to poa annua grass on the greens. It’s a grass used often in California and in play on all three greens on the courses used for the AT&T Pebble Beach Pro-Am. It’s difficult to read, gets bumpier later in the day, and with coastal winds and soggy conditions playing into the narrative this week, the opportunity to clean up a spike mark is even more valuable. Mickelson said it’s not difficult to differentiate natural imperfections in the poa annua compared to marks a player would make on a green. Natural imperfections are not allowed to be fixed. Phil Mickelson walks down the fairway on Sunday at Pebble Beach. Speaking of that pesky grass, Mickelson missed a short birdie putt on the par-5 6th on Sunday, and CBS on-course reporter Peter Kostis certainly noticed the poa annua influence. Fast forward to the 7th hole, and Mickelson and Casey were talking as Casey waited for a rules official on the 7th green. CBS microphones picked up their conversation. “I will say this week has been so much more enjoyable being able to fix these [marks],” Mickelson said. “You get a little two-footer; I think it’s been a real good thing,” Mickelson said. Come Monday, it could help Mickelson to career PGA Tour victory No. 44.